Open 9am-6pm Mon-Sat 11am-5pm Sunday. Evening appointments available on request. 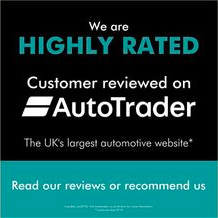 Phone lines open till 9.30pm daily.We offer used car servicing and repairs in the Leamington Spa & Warwickshire area Visit www.countrycar.co.uk for more info & stock. Please call for further details or to reserve this car for only £100 deposit.